Observation - SMALL BEETLE - UK and Ireland. 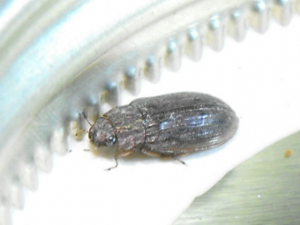 Description: A small greeny brown beetle about 8-9mm long I found in a patch of water in centre of field ,at least 60-65meters from any trees. A small greeny brown beetle about 8-9mm long I found in a patch of water in centre of field ,at least 60-65meters from any trees.